As you might guess, as a cybersecurity engineer, I’m rather skeptical of this repeated claim by the Democratic Party bosses, their underlings, and their allies in the press. I’m going to tell you why I’m so skeptical of this repeated drumbeat claim, as well as what’s really going on here. It should be obvious, but I guess to a lot of people in the press, it isn’t. So, to avoid the “repeat something enough times and people will think it’s true” trap that the news media folks are trying to pull…I will let you know what’s really going on here. WARNING TO FELLOW LIBERALS: some of you might not like a lot of what you’re going to hear in this episode, especially if you’re a Hillary Clinton supporter. Just giving you fair warning that I’m calling a spade a spade here…like I always do here on the ‘Corner. Also, we’re going to discuss Lobby Day. This happens every year here in Virginia, and I’m going to tell you why I’m going to Richmond on this Monday, Martin Luther King Jr. Day, to lobby for gun rights. Contradictory? Not from where I’m standing, it isn’t. I’ll explain. Just got back from a friend’s wedding. It’s a great thing when two people come together and promise themselves to each other. Really neat. This episode is inspired by a listener in New Jersey (you know who you are), and she had asked about how to arm oneself on a shoestring budget. This includes how to deal with the costs and availability of range visits. So, we’re going to talk about that. You know I’m a part-time range safety officer. So, some of my recommendations might surprise some of you. But these are things I’ve actually seen on the range, working reliably. We even take care of those of you in states with oppressive “Assalt Weppens” or “Hich Capacity Clip” laws, e. g. California. For those of you who’ve read my article about shooting 1,000 yards with a cheap Walmart rifle, or read my philosophy on handloading, you know I believe it shouldn’t take a fortune to exercise a basic civil right. That includes the Right to Keep and Bear Arms–a quintessentially American right. Let’s welcome, 2017, the New Year. Today is November 11th, Veteran’s Day in the USA. That’s what we’re going to discuss here. Not whether or not I personally agree or disagree with his win, but rather why he *did* win. It’s important to understand why he won. And no, it’s not just something we can dismiss by shouting, “RACISM! !” There are much deeper reasons beyond that. *MUCH* deeper. And we do ourselves a disservice by not understanding them. There’s a Presidential election coming up, folks. As a Liberal, I’ve had to think long and hard about who I might vote for. As you might expect, I’m not a particular fan of the Republican candidate, Donald Trump. What you might not expect is this: under no circumstances can I in good conscience vote for the Democratic candidate, Hillary Clinton. What?? A Liberal not voting for the Democrat? What’s up here? Turns out I have some very good reasons for this view, and I’m going to share them with you. You may or may not agree with them. But they are my reasons, and I consider them 100% valid, given my own life experience. Some of you might say, “Cowboy T, you just don’t want to vote for a WOMMMAANNN! !” Well, if you think that, then you’re as poor a judge of character as you clearly are in logical discussion. I have no problem voting for a female candidate…just not that particular one. And I’m hardly alone. We’ll also discuss the reasons for those terrible shootings of police officers in Dallas and Baton Rouge a couple of months ago. When discussing something terrible like that, I don’t need to “be first” to cover it. I’d rather think carefully about it, and we’re going to talk about what we can do to address the root causes of the mindset that would commit such a horrible act. You would do well to listen to Episode 40, here. Today’s the Fourth of July, 2016. That’s right, the day we declared independence from Britain. It is our 240th birthday as a free nation. On that note, I think it’s important to consider the freedoms and liberties that we have here in the United States of America. As both a patriot and a veteran, I have no choice but to think about this stuff a lot. One of those rights is the right to keep and bear arms. And that includes having ammunition to feed those arms. One way to ensure you have ammo is to handload, or reload, your own. A gun is useless without ammunition with which to feed it. We’re going to give you a real-world example of why the right to keep and bear arms is so important. And it happened to a member of “the elite”, or rather, an elite-in-training. Yep. Having a privileged life is no protection against attack, folks. You still need to be able to defend yourself. Just ask Katie Couric. She knows. Included among our rights is the right to defend ourselves from just that sort of thing. That’s America, and we’re supposed to be able to do that ANYWHERE, HERE in this country…well, ideally, anywhere in the world or beyond. Happy 240th Birthday, America. You’re a labour of love, always a work in progress. And it’s our job to make sure that work to preserve our liberties never, ever stops. And if we ever do stop…that is when we will have failed you. I am a Pink Pistol. Yep, we’ve done the case for Blacks to be armed, and the case for Muslims to be armed. 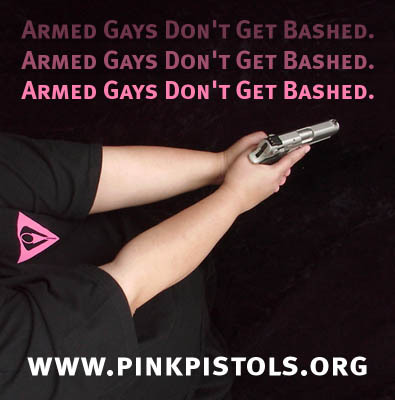 In light of two recent events, now we make the case for gays to be armed. By now everyone’s heard of that horrific act of terrorism in Orlando, FL by a madman who swore allegiance to the terror group ISIL. If there is a Hell, then may he rot there forevermore. We address actress (and as it happens, also gay) Kelly McGillis’s recent decision to get her conceal and carry permit. And given what she’s had to endure in her lifetime, I’m surprised it hasn’t happened sooner. I’m sure glad it’s happened now, though. I think Kelly McGillis would disagree with her, too. I think we’re also starting to perhaps see why Katie got fired from CBS back in 2011. Shoddy journalism can have that effect. NOTE: This episode is “Rated PG-13” for a small amount of “strong” language during the discussion of Ms. McGillis’s ordeal. While doing some checking on the WordPress server here, I figured out that since Google changed the reCAPTCHA back-end, I needed new reCAPTCHA keys! This broke the ability to leave comments. Oops. This should now be fixed, and it looks like comments are working once again. Sorry about that, folks. Some of you may have learned by now about Katie Couric’s, shall we say, “creative editing” to make the VCDL look bad for her “Under The Gun” so-called “documentary”. She invited us for a panel discussion about why we’re pro-2A. She then deceptively edited some footage to make it look like we were “stumped” by one of her “gotcha” questions. But it didn’t actually happen that way. I know, because I WAS THERE. You will get a first-hand account of it, from me. Turns out she pulled a hack-job worthy of a Soviet-era “news” channel. I really thought she’d be more ethical than this. Folks, I know we don’t always agree with each other as people. But fraudulent editing and lying should be off-limits, and Katie stepped over that line here. I’m going to show you, and it should make every one of you mad when you can’t trust the press to at least be honest. Disagree, fine, but at least be honest! She crossed that line. 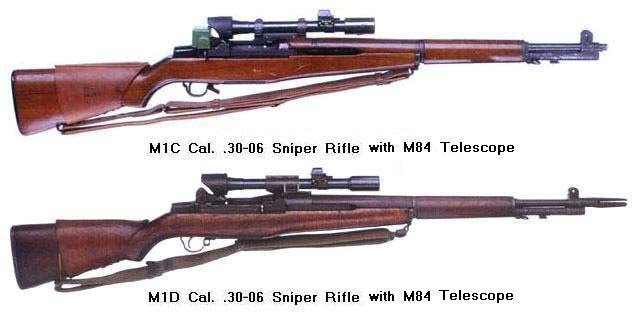 We also continue our discussion of M1 Garands, this time, specifically the M1D Sniper Rifle. Shooting it takes you back a few years, and it got me to thinking about a few things. I’m writing this two days, almost to the hour, after getting back from a trip to Thailand. I’ll give you some thoughts on visiting there, from a 2A perspective. And yes, jet lag is somethin’ else! A very recent example of why the 2A exists…and finally getting to shoot Dad’s guns! Yes, our Black lives *DO* matter! And we *will* defend ourselves. Today is Monday, May 2nd, 2016. What you see in the picture, though, looks straight out of the 1960’s, doesn’t it? We promised we’d talk about this, and now, right here in Episode 49, we will do so. A month ago today, there was a beautiful example of why the Second Amendment exists and why it’s still needed. Seems some bigots calling themselves the Bureau of Islamic American Relations (BAIR) decided to do an armed protest in front of a mosque, located in a mostly-Black neighborhood. Yep, these protestors were White. And yes, they did have the right to do their protest, as Texas is an open-carry state. Here’s the URL for the story. Also, this evening, I finally got a chance to take Dad’s guns to the range. These are the very same guns that protected him for decades; one of ’em’s probably close to my age. I’ll tell you about them and how they were to shoot, from a shooter’s perspective. One’s a Taurus, the other’s a Smith & Wesson. Both are revolvers. And finally, I’d like to recommend a Facebook page by a fellow Liberal named Anne Weber. She added some important information regarding that whole Journal-News fiasco with the gun-owner-permit holders in New York City. Folks, *this* is why the government shouldn’t know who and where privately-owned firearms are. Anne, thank you for calling this to our attention; I hadn’t been aware of this until you posted it. Two things of note here. First, New York State’s Democratic Primary election is tomorrow. There are two candidates for President, Sen. Bernie Sanders and former Sec’y of State Hillary Clinton. Until pretty recently, I hadn’t taken a favourable position on either of the Democrats. But this last debate in New York, on Friday, April 15th, 2016, finally got me to, as they say on Twitter, “#FeelTheBern”. I will explain to you how and why, as a Liberal, I came to this conclusion, and why you might consider doing likewise. 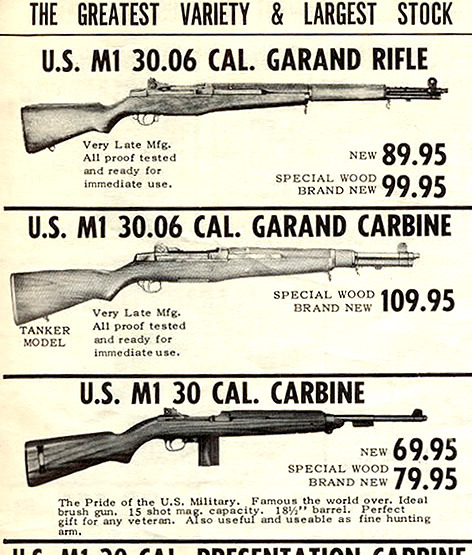 If only they were still this price! built my own rifle. You will now hear what it’s like to actually shoot one of these. I brought two women with me to enjoy the rifle’s inauguration…along with its brother rifle I picked up while at the CMP Store. Hey, gotta do your part for the economy, right? 🙂 You will hear about their experiences, too…and you may be surprised at how easy a .30-06 rifle can be to shoot.